Social cognition is the area of social psychology that examines how people perceive and think about their social world. This module provides an overview of key topics within social cognition and attitudes, including judgmental heuristics, social prediction, affective and motivational influences on judgment, and explicit and implicit attitudes. Learn how we simplify the vast array of information in the world in a way that allows us to make decisions and navigate our environments efficiently. Understand some of the social factors that influence how we reason. Determine if our reasoning processes are always conscious, and if not, what some of the effects of automatic/nonconscious cognition are. Understand the difference between explicit and implicit attitudes, and the implications they have for behavior. Imagine you are walking toward your classroom and you see your teacher and a fellow student you know to be disruptive in class whispering together in the hallway. As you approach, both of them quit talking, nod to you, and then resume their urgent whispers after you pass by. What would you make of this scene? What story might you tell yourself to help explain this interesting and unusual behavior? People know intuitively that we can better understand others’ behavior if we know the thoughts contributing to the behavior. In this example, you might guess that your teacher harbors several concerns about the disruptive student, and therefore you believe their whispering is related to this. The area of social psychology that focuses on how people think about others and about the social world is called social cognition. Researchers of social cognition study how people make sense of themselves and others to make judgments, form attitudes, and make predictions about the future. Much of the research in social cognition has demonstrated that humans are adept at distilling large amounts of information into smaller, more usable chunks, and that we possess many cognitive tools that allow us to efficiently navigate our environments. This research has also illuminated many social factors that can influence these judgments and predictions. Not only can our past experiences, expectations, motivations, and moods impact our reasoning, but many of our decisions and behaviors are driven by unconscious processes and implicit attitudes we are unaware of having. The goal of this module is to highlight the mental tools we use to navigate and make sense of our complex social world, and describe some of the emotional, motivational, and cognitive factors that affect our reasoning. Consider how much information you come across on any given day; just looking around your bedroom, there are hundreds of objects, smells, and sounds. How do we simplify all this information to attend to what is important and make decisions quickly and efficiently? In part, we do it by forming schemas of the various people, objects, situations, and events we encounter. A schema is a mental model, or representation, of any of the various things we come across in our daily lives. A schema (related to the word schematic) is kind of like a mental blueprint for how we expect something to be or behave. It is an organized body of general information or beliefs we develop from direct encounters, as well as from secondhand sources. Rather than spending copious amounts of time learning about each new individual object (e.g., each new dog we see), we rely on our schemas to tell us that a newly encountered dog probably barks, likes to fetch, and enjoys treats. In this way, our schemas greatly reduce the amount of cognitive work we need to do and allow us to “go beyond the information given” (Bruner, 1957). We can hold schemas about almost anything—individual people (person schemas), ourselves (self-schemas), and recurring events (event schemas, or scripts). Each of these types of schemas is useful in its own way. For example, event schemas allow us to navigate new situations efficiently and seamlessly. A script for dining at a restaurant would indicate that one should wait to be seated by the host or hostess, that food should be ordered from a menu, and that one is expected to pay the check at the end of the meal. Because the majority of dining situations conform to this general format, most diners just need to follow their mental scripts to know what to expect and how they should behave, greatly reducing their cognitive workload. Another important way we simplify our social world is by employing heuristics, which are mental shortcuts that reduce complex problem-solving to more simple, rule-based decisions. For example, have you ever had a hard time trying to decide on a book to buy, then you see one ranked highly on a book review website? Although selecting a book to purchase can be a complicated decision, you might rely on the “rule of thumb” that a recommendation from a credible source is likely a safe bet—so you buy it. A common instance of using heuristics is when people are faced with judging whether an object belongs to a particular category. For example, you would easily classify a pit bull into the category of “dog.” But what about a coyote? Or a fox? A plastic toy dog? In order to make this classification (and many others), people may rely on the representativeness heuristic to arrive at a quick decision (Kahneman & Tversky, 1972, 1973). Rather than engaging in an in-depth consideration of the object’s attributes, one can simply judge the likelihood of the object belonging to a category, based on how similar it is to one’s mental representation of that category. For example, a perceiver may quickly judge a female to be an athlete based on the fact that the female is tall, muscular, and wearing sports apparel—which fits the perceiver’s representation of an athlete’s characteristics. In many situations, an object’s similarity to a category is a good indicator of its membership in that category, and an individual using the representativeness heuristic will arrive at a correct judgment. However, when base-rate information (e.g., the actual percentage of athletes in the area and therefore the probability that this person actually is an athlete) conflicts with representativeness information, use of this heuristic is less appropriate. For example, if asked to judge whether a quiet, thin man who likes to read poetry is a classics professor at a prestigious university or a truck driver, the representativeness heuristic might lead one to guess he’s a professor. However, considering the base-rates, we know there are far fewer university classics professors than truck drivers. Therefore, although the man fits the mental image of a professor, the actual probability of him being one (considering the number of professors out there) is lower than that of being a truck driver. In addition to judging whether things belong to particular categories, we also attempt to judge the likelihood that things will happen. A commonly employed heuristic for making this type of judgment is called the availability heuristic. People use the availability heuristic to evaluate the frequency or likelihood of an event based on how easily instances of it come to mind (Tversky & Kahneman, 1973). Because more commonly occurring events are more likely to be cognitively accessible (or, they come to mind more easily), use of the availability heuristic can lead to relatively good approximations of frequency. However, the heuristic can be less reliable when judging the frequency of relatively infrequent but highly accessible events. For example, do you think there are more words that begin with “k,” or more that have “k” as the third letter? To figure this out, you would probably make a list of words that start with “k” and compare it to a list of words with “k” as the third letter. Though such a quick test may lead you to believe there are more words that begin with “k,” the truth is that there are 3 times as many words that have “k” as the third letter (Schwarz et al., 1991). In this case, words beginning with “k” are more readily available to memory (i.e., more accessible), so they seem to be more numerous. Another example is the very common fear of flying: dying in a plane crash is extremely rare, but people often overestimate the probability of it occurring because plane crashes tend to be highly memorable and publicized. In summary, despite the vast amount of information we are bombarded with on a daily basis, the mind has an entire kit of “tools” that allows us to navigate that information efficiently. In addition to category and frequency judgments, another common mental calculation we perform is predicting the future. We rely on our predictions about the future to guide our actions. When deciding what entrée to select for dinner, we may ask ourselves, “How happy will I be if I choose this over that?” The answer we arrive at is an example of a future prediction. In the next section, we examine individuals’ ability to accurately predict others’ behaviors, as well as their own future thoughts, feelings, and behaviors, and how these predictions can impact their decisions. Whenever we face a decision, we predict our future behaviors or feelings in order to choose the best course of action. If you have a paper due in a week and have the option of going out to a party or working on the paper, the decision of what to do rests on a few things: the amount of time you predict you will need to write the paper, your prediction of how you will feel if you do poorly on the paper, and your prediction of how harshly the professor will grade it. In general, we make predictions about others quickly, based on relatively little information. Research on “thin-slice judgments” has shown that perceivers are able to make surprisingly accurate inferences about another person’s emotional state, personality traits, and even sexual orientation based on just snippets of information—for example, a 10-second video clip (Ambady, Bernieri, & Richeson, 2000; Ambady, Hallahan, & Conner, 1999; Ambady & Rosenthal, 1993). Furthermore, these judgments are predictive of the target’s future behaviors. For example, one study found that students’ ratings of a teacher’s warmth, enthusiasm, and attentiveness from a 30-second video clip strongly predicted that teacher’s final student evaluations after an entire semester (Ambady & Rosenthal, 1993). As might be expected, the more information there is available, the more accurate many of these judgments become (Carney, Colvin, & Hall, 2007). Because we seem to be fairly adept at making predictions about others, one might expect predictions about the self to be foolproof, given the considerable amount of information one has about the self compared to others. To an extent, research has supported this conclusion. For example, our own predictions of our future academic performance are more accurate than peers’ predictions of our performance, and self-expressed interests better predict occupational choice than career inventories (Shrauger & Osberg, 1981). Yet, it is not always the case that we hold greater insight into ourselves. While our own assessment of our personality traits does predict certain behavioral tendencies better than peer assessment of our personality, for certain behaviors, peer reports are more accurate than self-reports (Kolar, Funder, & Colvin, 1996; Vazire, 2010). Similarly, although we are generally aware of our knowledge, abilities, and future prospects, our perceptions are often overly positive, and we display overconfidence in their accuracy and potential (Metcalfe, 1998). For example, we tend to underestimate how much time it will take us to complete a task, whether it is writing a paper, finishing a project at work, or building a bridge—a phenomenon known as the planning fallacy (Buehler, Griffin, & Ross, 1994). The planning fallacy helps explain why so many college students end up pulling all-nighters to finish writing assignments or study for exams. The tasks simply end up taking longer than expected. On the positive side, the planning fallacy can also lead individuals to pursue ambitious projects that may turn out to be worthwhile. That is, if they had accurately predicted how much time and work it would have taken them, they may have never started it in the first place. The other important factor that affects decision-making is our ability to predict how we will feel about certain outcomes. Not only do we predict whether we will feel positively or negatively, we also make predictions about how strongly and for how long we will feel that way. Research demonstrates that these predictions of one’s future feelings—known as affective forecasting—are accurate in some ways but limited in others (Gilbert & Wilson, 2007). We are adept at predicting whether a future event or situation will make us feel positively or negatively (Wilson & Gilbert, 2003), but we often incorrectly predict the strength or duration of those emotions. For example, you may predict that if your favorite sports team loses an important match, you will be devastated. Although you’re probably right that you will feel negative (and not positive) emotions, will you be able to accurately estimate how negative you’ll feel? What about how long those negative feelings will last? Predictions about future feelings are influenced by the impact bias : the tendency for a person to overestimate the intensity of their future feelings. For example, by comparing people’s estimates of how they expected to feel after a specific event to their actual feelings after the event, research has shown that people generally overestimate how badly they will feel after a negative event—such as losing a job—and they also overestimate how happy they will feel after a positive event—such as winning the lottery (Brickman, Coates, & Janoff-Bullman, 1978). Another factor in these estimations is the durability bias. The durability bias refers to the tendency for people to overestimate how long (or, the duration) positive and negative events will affect them. This bias is much greater for predictions regarding negative events than positive events, and occurs because people are generally unaware of the many psychological mechanisms that help us adapt to and cope with negative events (Gilbert, Pinel, Wilson, Blumberg, & Wheatley, 1998;Wilson, Wheatley, Meyers, Gilbert, & Axsom, 2000). In summary, individuals form impressions of themselves and others, make predictions about the future, and use these judgments to inform their decisions. However, these judgments are shaped by our tendency to view ourselves in an overly positive light and our inability to appreciate our habituation to both positive and negative events. In the next section, we will discuss how motivations, moods, and desires also shape social judgment. Although we may believe we are always capable of rational and objective thinking (for example, when we methodically weigh the pros and cons of two laundry detergents in an unemotional—i.e., “cold”—manner), our reasoning is often influenced by our motivations and mood. Hot cognition refers to the mental processes that are influenced by desires and feelings. For example, imagine you receive a poor grade on a class assignment. In this situation, your ability to reason objectively about the quality of your assignment may be limited by your anger toward the teacher, upset feelings over the bad grade, and your motivation to maintain your belief that you are a good student. In this sort of scenario, we may want the situation to turn out a particular way or our belief to be the truth. When we have these directional goals, we are motivated to reach a particular outcome or judgment and do not process information in a cold, objective manner. Directional goals can bias our thinking in many ways, such as leading to motivated skepticism, whereby we are skeptical of evidence that goes against what we want to believe despite the strength of the evidence (Ditto & Lopez, 1992). For example, individuals trust medical tests less if the results suggest they have a deficiency compared to when the results suggest they are healthy. Through this motivated skepticism, people often continue to believe what they want to believe, even in the face of nearly incontrovertible evidence to the contrary. There are also situations in which we do not have wishes for a particular outcome but our goals bias our reasoning, anyway. For example, being motivated to reach an accurate conclusion can influence our reasoning processes by making us more cautious—leading to indecision. In contrast, sometimes individuals are motivated to make a quick decision, without being particularly concerned about the quality of it. Imagine trying to choose a restaurant with a group of friends when you’re really hungry. You may choose whatever’s nearby without caring if the restaurant is the best or not. This need for closure (the desire to come to a firm conclusion) is often induced by time constraints (when a decision needs to be made quickly) as well as by individual differences in the need for closure (Webster & Kruglanski, 1997). Some individuals are simply more uncomfortable with ambiguity than others, and are thus more motivated to reach clear, decisive conclusions. Just as our goals and motivations influence our reasoning, our moods and feelings also shape our thinking process and ultimate decisions. Many of our decisions are based in part on our memories of past events, and our retrieval of memories is affected by our current mood. For example, when you are sad, it is easier to recall the sad memory of your dog’s death than the happy moment you received the dog. This tendency to recall memories similar in valence to our current mood is known as mood-congruent memory (Blaney, 1986; Bower 1981, 1991; DeSteno, Petty, Wegener, & Rucker, 2000; Forgas, Bower, & Krantz, 1984; Schwarz, Strack, Kommer, & Wagner, 1987). The mood we were in when the memory was recorded becomes a retrieval cue; our present mood primes these congruent memories, making them come to mind more easily (Fiedler, 2001). Furthermore, because the availability of events in our memory can affect their perceived frequency (the availability heuristic), the biased retrieval of congruent memories can then impact the subsequent judgments we make (Tversky & Kahneman, 1973). For example, if you are retrieving many sad memories, you might conclude that you have had a tough, depressing life. In addition to our moods influencing the specific memories we retrieve, our moods can also influence the broader judgments we make. This sometimes leads to inaccuracies when our current mood is irrelevant to the judgment at hand. In a classic study demonstrating this effect, researchers found that study participants rated themselves as less-satisfied with their lives in general if they were asked on a day when it happened to be raining vs. sunny (Schwarz & Clore, 1983). However, this occurred only if the participants were not aware that the weather might be influencing their mood. In essence, participants were in worse moods on rainy days than sunny days, and, if unaware of the weather’s effect on their mood, they incorrectly used their mood as evidence of their overall life satisfaction. In summary, our mood and motivations can influence both the way we think and the decisions we ultimately make. Mood can shape our thinking even when the mood is irrelevant to the judgment, and our motivations can influence our thinking even if we have no particular preference about the outcome. Just as we might be unaware of how our reasoning is influenced by our motives and moods, research has found that our behaviors can be determined by unconscious processes rather than intentional decisions, an idea we will explore in the next section. Do we actively choose and control all our behaviors or do some of these behaviors occur automatically? A large body of evidence now suggests that many of our behaviors are, in fact, automatic. A behavior or process is considered automatic if it is unintentional, uncontrollable, occurs outside of conscious awareness, or is cognitively efficient (Bargh & Chartrand, 1999). A process may be considered automatic even if it does not have all these features; for example, driving is a fairly automatic process, but is clearly intentional. Processes can become automatic through repetition, practice, or repeated associations. Staying with the driving example: although it can be very difficult and cognitively effortful at the start, over time it becomes a relatively automatic process, and aspects of it can occur outside conscious awareness. In addition to practice leading to the learning of automatic behaviors, some automatic processes, such as fear responses, appear to be innate. For example, people quickly detect negative stimuli, such as negative words, even when those stimuli are presented subliminally (Dijksterhuis & Aarts, 2003; Pratto & John, 1991). This may represent an evolutionarily adaptive response that makes individuals more likely to detect danger in their environment. Other innate automatic processes may have evolved due to their pro-social outcomes. The chameleon effect—where individuals nonconsciously mimic the postures, mannerisms, facial expressions, and other behaviors of their interaction partners—is an example of how people may engage in certain behaviors without conscious intention or awareness (Chartrand & Bargh, 1999). For example, have you ever noticed that you’ve picked up some of the habits of your friends? Over time, but also in brief encounters, we will nonconsciously mimic those around us because of the positive social effects of doing so. That is, automatic mimicry has been shown to lead to more positive social interactions and to increase liking between the mimicked person and the mimicking person. When concepts and behaviors have been repeatedly associated with each other, one of them can be primed—i.e., made more cognitively accessible—by exposing participants to the (strongly associated) other one. For example, by presenting participants with the concept of a doctor, associated concepts such as “nurse” or “stethoscope” are primed. As a result, participants recognize a word like “nurse” more quickly (Meyer, & Schvaneveldt, 1971). Similarly, stereotypes can automatically prime associated judgments and behaviors. Stereotypes are our general beliefs about a group of people and, once activated, they may guide our judgments outside of conscious awareness. Similar to schemas, stereotypes involve a mental representation of how we expect a person will think and behave. For example, someone’s mental schema for women may be that they’re caring, compassionate, and maternal; however, a stereotype would be that all women are examples of this schema. As you know, assuming all people are a certain way is not only wrong but insulting, especially if negative traits are incorporated into a schema and subsequent stereotype. In a now classic study, Patricia Devine (1989) primed study participants with words typically associated with Blacks (e.g., “blues,” “basketball”) in order to activate the stereotype of Blacks. Devine found that study participants who were primed with the Black stereotype judged a target’s ambiguous behaviors as being more hostile (a trait stereotypically associated with Blacks) than nonprimed participants. Research in this area suggests that our social context—which constantly bombards us with concepts—may prime us to form particular judgments and influence our thoughts and behaviors. In summary, there are many cognitive processes and behaviors that occur outside of our awareness and despite our intentions. Because automatic thoughts and behaviors do not require the same level of cognitive processing as conscious, deliberate thinking and acting, automaticity provides an efficient way for individuals to process and respond to the social world. However, this efficiency comes at a cost, as unconsciously held stereotypes and attitudes can sometimes influence us to behave in unintended ways. We will discuss the consequences of both consciously and unconsciously held attitudes in the next section. When we encounter a new object or person, we often form an attitude toward it (him/her). An attitude is a “psychological tendency that is expressed by evaluating a particular entity with some degree of favor or disfavor” (Eagly & Chaiken, 1993, p. 1). In essence, our attitudes are our general evaluations of things (i.e., do you regard this thing positively or negatively?) that can bias us toward having a particular response to it. For example, a negative attitude toward mushrooms would predispose you to avoid them and think negatively of them in other ways. This bias can be long- or short-term and can be overridden by another experience with the object. Thus, if you encounter a delicious mushroom dish in the future, your negative attitude could change to a positive one. Traditionally, attitudes have been measured through explicit attitude measures, in which participants are directly asked to provide their attitudes toward various objects, people, or issues (e.g., a survey). For example, in a semantic-differential scale, respondents are asked to provide evaluations of an attitude object using a series of negative to positive response scales—which have something like “unpleasant” at one end of the scale and “pleasant” at the other (Osgood, Suci, & Tannenbaum, 1957). In a Likert scale, respondents are asked to indicate their agreement level with various evaluative statements, such as, “I believe that psychology is the most interesting major” (Likert, 1932). Here, participants mark their selection between something like “strongly disagree” and “strongly agree.” These explicit measures of attitudes can be used to predict people’s actual behavior, but there are limitations to them. For one thing, individuals aren’t always aware of their true attitudes, because they’re either undecided or haven’t given a particular issue much thought. Furthermore, even when individuals are aware of their attitudes, they might not want to admit to them, such as when holding a certain attitude is viewed negatively by their culture. For example, sometimes it can be difficult to measure people’s true opinions on racial issues, because participants fear that expressing their true attitudes will be viewed as socially unacceptable. Thus, explicit attitude measures may be unreliable when asking about controversial attitudes or attitudes that are not widely accepted by society. In order to avoid some of these limitations, many researchers use more subtle or covert ways of measuring attitudes that do not suffer from such self-presentation concerns (Fazio & Olson, 2003). An implicit attitude is an attitude that a person does not verbally or overtly express. For example, someone may have a positive, explicit attitude toward his job; however, nonconsciously, he may have a lot of negative associations with it (e.g., having to wake up early, the long commute, the office heating is broken) which results in an implicitly negative attitude. To learn what a person’s implicit attitude is, you have to use implicit measures of attitudes. These measures infer the participant’s attitude rather than having the participant explicitly report it. Many implicit measures accomplish this by recording the time it takes a participant (i.e., the reaction time) to label or categorize an attitude object (i.e., the person, concept, or object of interest) as positive or negative. For example, the faster someone categorizes his or her job (measured in milliseconds) as negative compared to positive, the more negative the implicit attitude is (i.e., because a faster categorization implies that the two concepts—“work” and “negative”—are closely related in one’s mind). One common implicit measure is the Implicit Association Test (IAT;Greenwald & Banaji, 1995; Greenwald, McGhee, & Schwartz, 1998), which does just what the name suggests, measuring how quickly the participant pairs a concept (e.g., cats) with an attribute (e.g., good or bad). The participant’s response time in pairing the concept with the attribute indicates how strongly the participant associates the two. Another common implicit measure is the evaluative priming task (Fazio, Jackson, Dunton, & Williams, 1995), which measures how quickly the participant labels the valence (i.e., positive or negative) of the attitude object when it appears immediately after a positive or negative image. The more quickly a participant labels the attitude object after being primed with a positive versus negative image indicates how positively the participant evaluates the object. Individuals’ implicit attitudes are sometimes inconsistent with their explicitly held attitudes. Hence, implicit measures may reveal biases that participants do not report on explicit measures. As a result, implicit attitude measures are especially useful for examining the pervasiveness and strength of controversial attitudes and stereotypic associations, such as racial biases or associations between race and violence. For example, research using the IAT has shown that about 66% of white respondents have a negative bias toward Blacks (Nosek, Banaji, & Greenwald, 2002), that bias on the IAT against Blacks is associated with more discomfort during interracial interactions (McConnell, & Leibold, 2001), and that implicit associations linking Blacks to violence are associated with a greater tendency to shoot unarmed Black targets in a video game (Payne, 2001). Thus, even though individuals are often unaware of their implicit attitudes, these attitudes can have serious implications for their behavior, especially when these individuals do not have the cognitive resources available to override the attitudes’ influence. Decades of research on social cognition and attitudes have revealed many of the “tricks” and “tools” we use to efficiently process the limitless amounts of social information we encounter. These tools are quite useful for organizing that information to arrive at quick decisions. When you see an individual engage in a behavior, such as seeing a man push an elderly woman to the ground, you form judgments about his personality, predictions about the likelihood of him engaging in similar behaviors in the future, as well as predictions about the elderly woman’s feelings and how you would feel if you were in her position. As the research presented in this module demonstrates, we are adept and efficient at making these judgments and predictions, but they are not made in a vacuum. Ultimately, our perception of the social world is a subjective experience, and, consequently, our decisions are influenced by our experiences, expectations, emotions, motivations, and current contexts. Being aware of when our judgments are most accurate, and how our judgments are shaped by social influences, prepares us to be in a much better position to appreciate, and potentially counter, their effects. Video: Daniel Gilbert discussing affective forecasting. Web: BBC Horizon documentary How to Make Better Decisions that discusses many module topics (Part 1). Describe your event-schema, or script, for an event that you encounter regularly (e.g., dining at a restaurant). Now, attempt to articulate a script for an event that you have encountered only once or a few times. How are these scripts different? How confident are you in your ability to navigate these two events? Think of a time when you made a decision that you thought would make you very happy (e.g., purchasing an item). To what extent were you accurate or inaccurate? In what ways were you wrong, and why do you think you were wrong? What is an issue you feel strongly about (e.g., abortion, death penalty)? How would you react if research demonstrated that your opinion was wrong? What would it take before you would believe the evidence? Take an implicit association test at the Project Implicit website (https://implicit.harvard.edu/implicit). How do your results match or mismatch your explicit attitudes. Predicting how one will feel in the future after some event or decision. A behavior or process has one or more of the following features: unintentional, uncontrollable, occurring outside of conscious awareness, and cognitively efficient. A heuristic in which the frequency or likelihood of an event is evaluated based on how easily instances of it come to mind. The tendency for individuals to nonconsciously mimic the postures, mannerisms, facial expressions, and other behaviors of one’s interaction partners. The motivation to reach a particular outcome or judgment. A bias in affective forecasting in which one overestimates for how long one will feel an emotion (positive or negative) after some event. An implicit attitude task that assesses the extent to which an attitude object is associated with a positive or negative valence by measuring the time it takes a person to label an adjective as good or bad after being presented with an attitude object. An attitude that is consciously held and can be reported on by the person holding the attitude. A mental shortcut or rule of thumb that reduces complex mental problems to more simple rule-based decisions. The mental processes that are influenced by desires and feelings. A bias in affective forecasting in which one overestimates the strength or intensity of emotion one will experience after some event. An implicit attitude task that assesses a person’s automatic associations between concepts by measuring the response times in pairing the concepts. An attitude that a person cannot verbally or overtly state. Measures of attitudes in which researchers infer the participant’s attitude rather than having the participant explicitly report it. The tendency to be better able to recall memories that have a mood similar to our current mood. A form of bias that can result from having a directional goal in which one is skeptical of evidence despite its strength because it goes against what one wants to believe. The desire to come to a decision that will resolve ambiguity and conclude an issue. A cognitive bias in which one underestimates how long it will take to complete a task. A process by which a concept or behavior is made more cognitively accessible or likely to occur through the presentation of an associated concept. A heuristic in which the likelihood of an object belonging to a category is evaluated based on the extent to which the object appears similar to one’s mental representation of the category. A mental model or representation that organizes the important information about a thing, person, or event (also known as a script). The study of how people think about the social world. Our general beliefs about the traits or behaviors shared by group of people. Ambady, N., Bernieri, F. J., & Richeson, J. A. (2000). Toward a histology of social behavior: Judgmental accuracy from thin slices of the behavioral stream. Advances in Experimental Social Psychology, 32, 201–271. San Diego, CA: Academic Press. Ambady, N., Hallahan, M., & Conner, B. (1999). Accuracy of judgments of sexual orientation from thin slices of behavior. Journal of Personality and Social Psychology, 77, 538–547. Bargh, J. A., & Chartrand, T. L. (1999). The unbearable automaticity of being. American Psychologist, 54, 462–479. Blaney, P. H. (1986). Affect and memory: A review. Psychological Bulletin, 99, 229–246. Bower, G. H. (1991). Mood congruity of social judgments. In J. P. Forgas (Ed. ), Emotion and social judgments (pp. 31–53). New York, NY: Pergamon. Brickman, P., Coates, D., & Janoff-Bullman, R. (1978). Lottery winners and accident victims: Is happiness relative? Journal of Personality and Social Psychology, 36, 917–927. Bruner, J. S. (1957). Going beyond the information given. In J. S. Bruner, E. Brunswik, L. Festinger, F. Heider, K. F. Muenzinger, C. E. Osgood, & D. Rapaport, (Eds. ), Contemporary approaches to cognition (pp. 41–69). Cambridge, MA: Harvard University Press. Buehler, R., Griffin, D., & Ross, M. (1994). Exploring the “planning fallacy”: Why people underestimate their task completion times. Journal of Personality and Social Psychology, 67, 366–381. Carney, D. R., Colvin, C. R., & Hall, J. A. (2007). A thin slice perspective on the accuracy of first impressions. Journal of Research in Personality, 41, 1054–1072. Chartrand, T. L., & Bargh, J. A. (1999). The chameleon effect: The perception-behavior link and social interaction. Journal of Personality and Social Psychology, 76, 893–910. DeSteno, D., Petty, R., Wegener, D., & Rucker, D. (2000). Beyond valence in the perception of likelihood: The role of emotion specificity. Journal of Personality and Social Psychology, 78, 397–416. Devine, P. (1989). Stereotypes and prejudice: Their automatic and controlled components. Journal of Personality and Social Psychology, 5, 5–18. Dijksterhuis, A., & Aarts, H. (2003). On wildebeests and humans: The preferential detection of negative stimuli. Psychological Science, 14, 14–18. Ditto, P. H., & Lopez, D. F. (1992). Motivated skepticism: Use of differential decision criteria for preferred and nonpreferred conclusions. Journal of Personality and Social Psychology, 63, 568–584. Eagly, A. H., & Chaiken, S. (1993). The psychology of attitudes (p. 1). Fort Worth, TX: Harcourt Brace Jovanovich College Publishers. Fazio, R. H., & Olson, M. A. (2003). Implicit measures in social cognition research: Their meaning and use. Annual Review of Psychology, 54, 297–327. Fazio, R. H., Jackson, J. R., Dunton, B. C., & Williams, C. J. (1995). Variability in automatic activation as an unobtrusive measure of racial attitudes: A bona fide pipeline? Journal of Personality and Social Psychology, 69, 1013–1027. Fiedler, K. (2001). Affective influences on social information processing. In J. P. Forgas (Ed. ), Handbook of affect and social cognition (pp. 163–185). Mahwah, NJ: Lawrence Erlbaum Associates. Forgas, J. P., Bower, G. H., & Krantz, S. (1984). The influence of mood on perceptions of social interactions. Journal of Experimental Social Psychology, 20, 497–513. Gilbert, D. T., & Wilson, T. D. (2007). Prospection: Experiencing the future. Science, 317, 1351–1354. Gilbert, D. T., Pinel, E. C., Wilson, T. D., Blumberg, S. J., & Wheatley, T. P. (1998). Immune neglect: A source of durability bias in affective forecasting. Journal of Personality and Social Psychology, 75, 617–638. Kahneman, D., & Tversky, A. (1972). Subjective probability: A judgment of representativeness. Cognitive Psychology, 3, 430–454. McConnell, A. R., & Leibold, J. M. (2001). Relations among the implicit association test, discriminatory behavior, and explicit measures of racial attitudes. Journal of Experimental Social Psychology, 37, 435–442. Metcalfe, J. (1998). Cognitive optimism: Self-deception or memory-based processing heuristics? Personality and Social Psychology Review, 2, 100–110. Meyer, D. E., & Schvaneveldt, R. W. (1971). Facilitation in recognizing pairs of words: Evidence of a dependence between retrieval operations. Journal of Experimental Psychology, 90, 227–234. Nosek, B. A., Banaji, M., & Greenwald, A. G. (2002). Harvesting implicit group attitudes and beliefs from a demonstration website. Group Dynamics: Theory, Research, and Practice, 6, 101–115. Payne, B. K. (2001). Prejudice and perception: The role of automatic and controlled processes in misperceiving a weapon. Journal of Personality and Social Psychology, 81, 181–192. Pratto, F., & John, O. P. (1991). Automatic vigilance: The attention-grabbing power of negative social information. Journal of Personality and Social Psychology, 61, 380–391. Schwarz, N., Strack, F., Kommer, D., & Wagner, D. (1987). Soccer, rooms, and the quality of your life: Mood effects on judgments of satisfaction with life in general and with specific domains. Journal of Social Psychology, 17, 69–79. Shrauger, J. S., & Osberg, T. M. (1981). The relative accuracy of self-predictions and judgments by others in psychological assessment. Psychological Bulletin, 90, 322–351. Vazire, S. (2010). Who knows what about a person? The self-other asymmetry (SOKA) model. Journal of Personality and Social Psychology, 98, 281–300. Webster, D. M., & Kruglanski, A. W. (1997). Cognitive and social consequences of the need for cognitive closure. European Review of Social Psychology, 18, 133–173. Wilson, T. D., Wheatley, T. P., Meyers, J. M., Gilbert, D. T., & Axsom, D. (2000). Focalism: A source of durability bias in affective forecasting. Journal of Personality and Social Psychology, 78, 821–836. 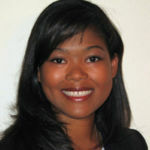 Yanine D. Hess is a sixth-year doctoral student of social psychology at University of California, Davis. 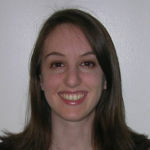 In the fall, she will be working as an Assistant Professor of Psychology at SUNY Purchase College. Her research examines the interpersonal effects of social rejection, as well as how relationship beliefs influence interpersonal decisions and well-being. Social Cognition and Attitudes by Yanine D. Hess and Cynthia L. Pickett is licensed under a Creative Commons Attribution-NonCommercial-ShareAlike 4.0 International License. Permissions beyond the scope of this license may be available in our Licensing Agreement.